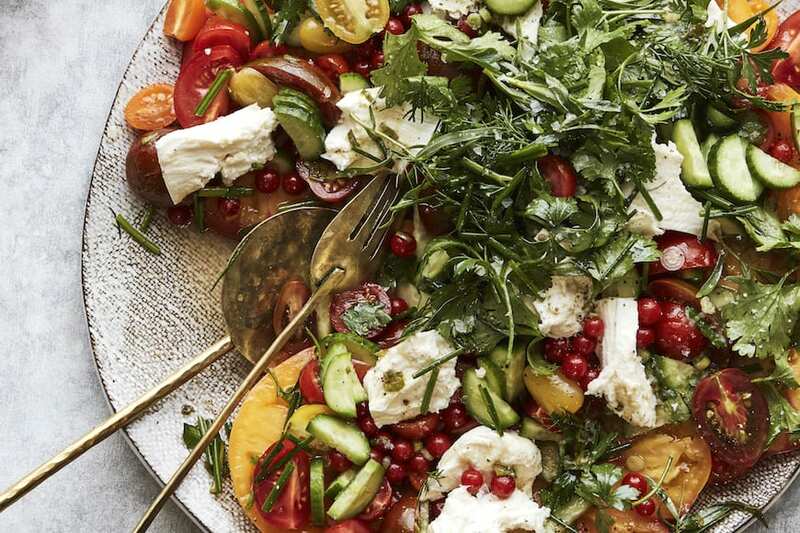 Now that summer is in full swings, the farmers markets are loaded with goodies and it’s HOT, there’s really no time to turn on the stove! 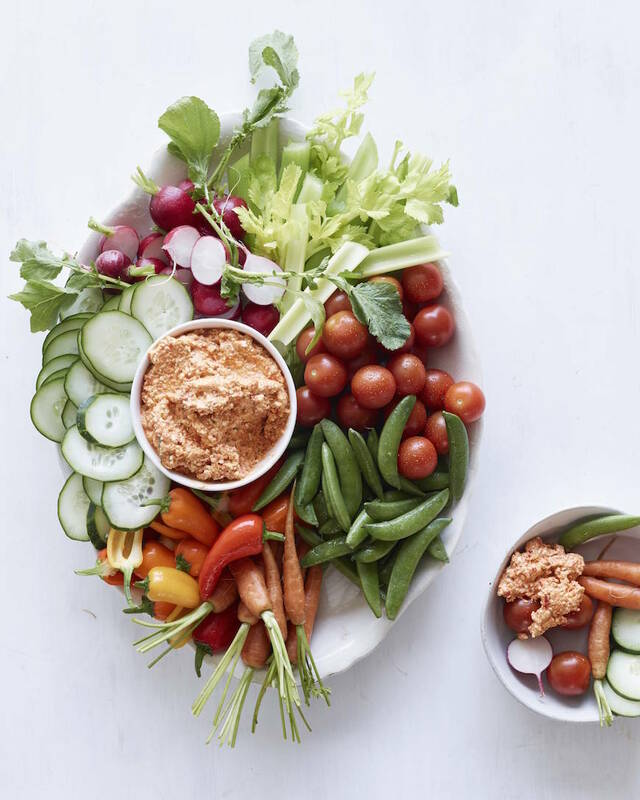 Today I’m rounding up some of my favorite almost no-cook meals to keep your kitchen cool but your bellies happy! 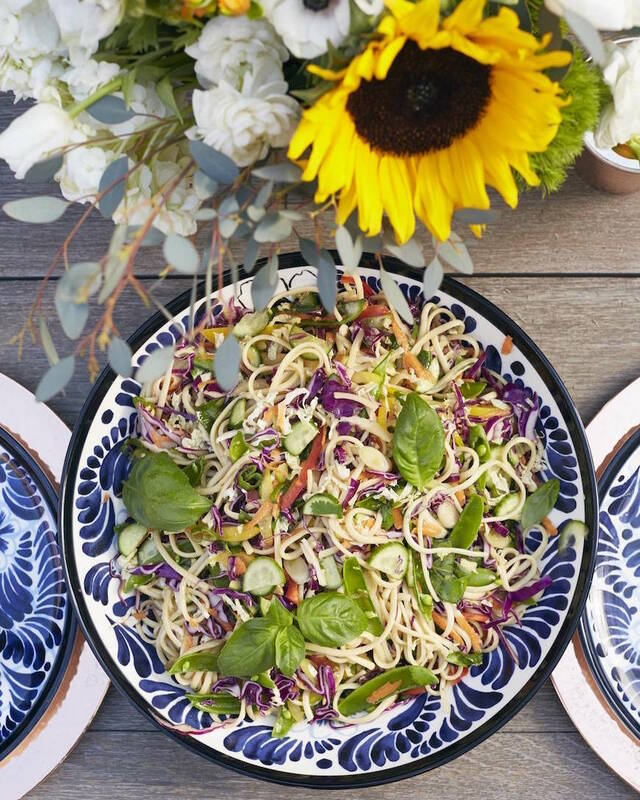 Sesame Noodle Salad / just boil off some pasta and you’re ready to go! 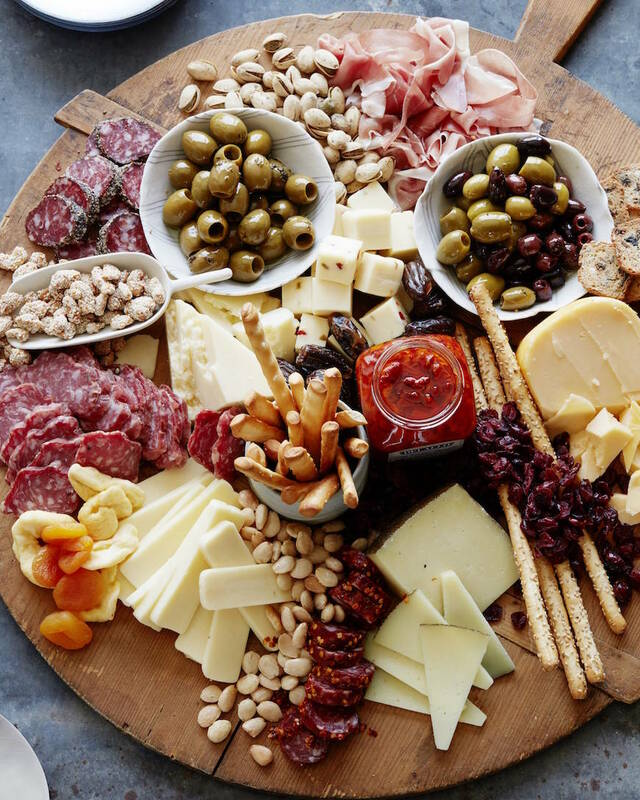 The Ultimate Appetizer Board / which really doubles as a dinner board as well! 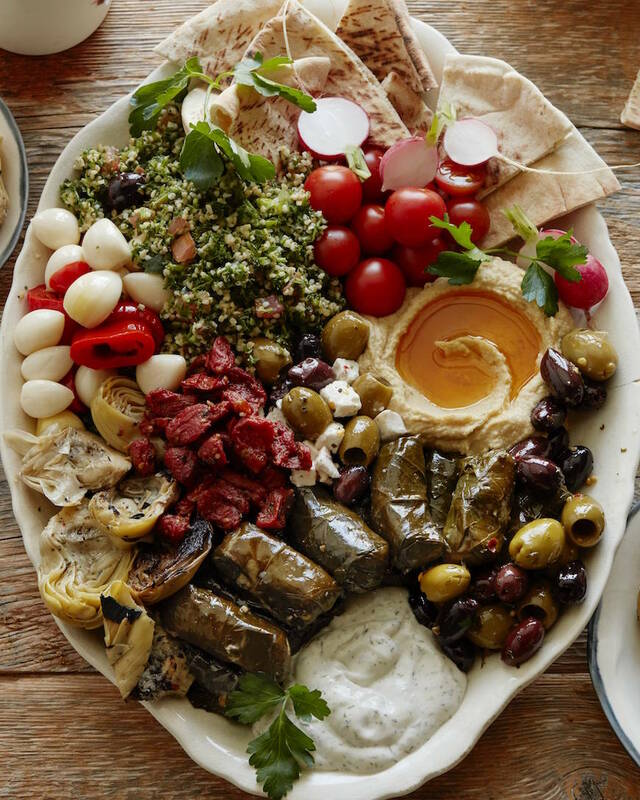 The Mezze Platter to end all mezze platters! 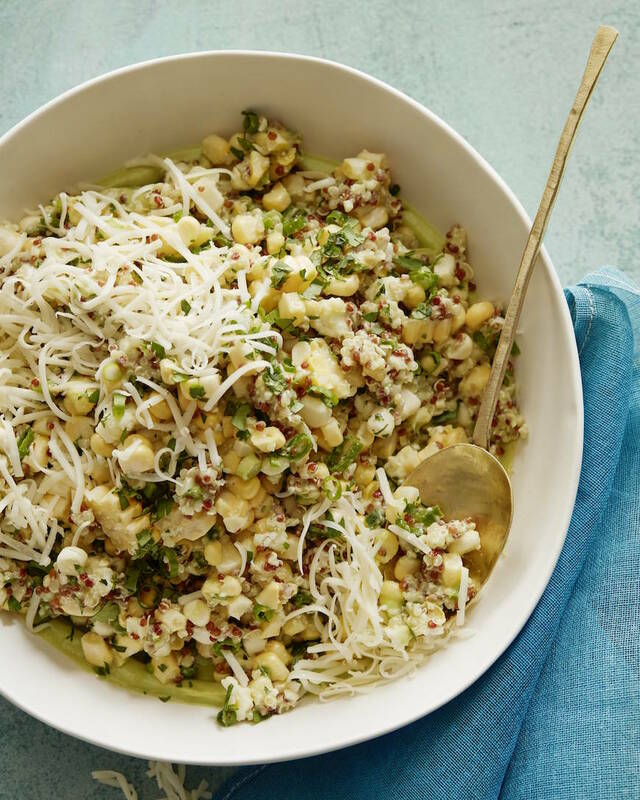 Mexican Corn and Quinoa Salad / use some leftover quinoa and voila! 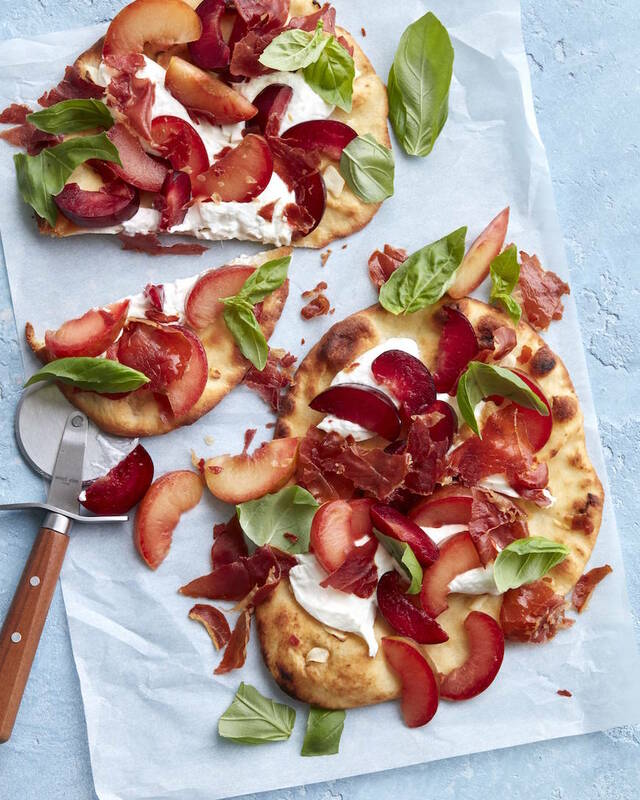 Crispy Prosciutto and Plum Flatbread / make it on the grill so you don’t have to turn on the oven! 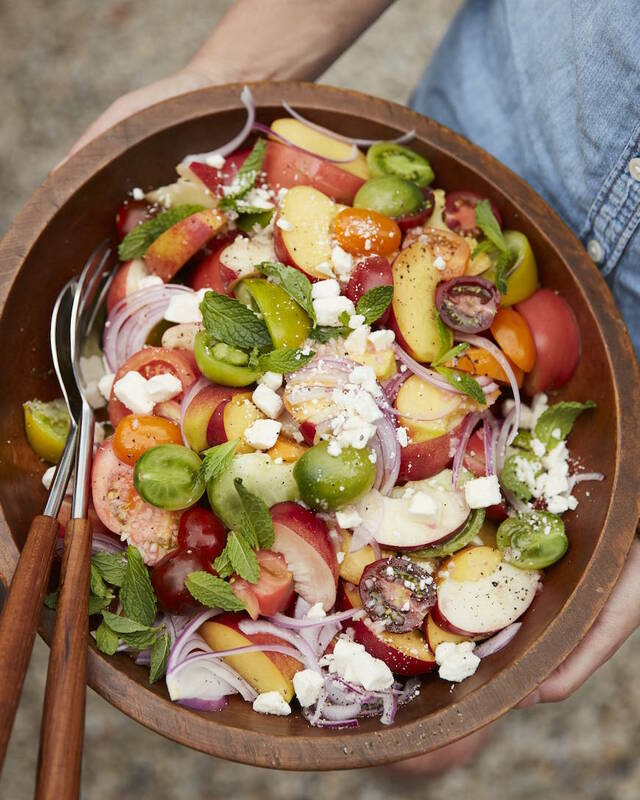 Summer Stone Fruit Salad / beyond delish! 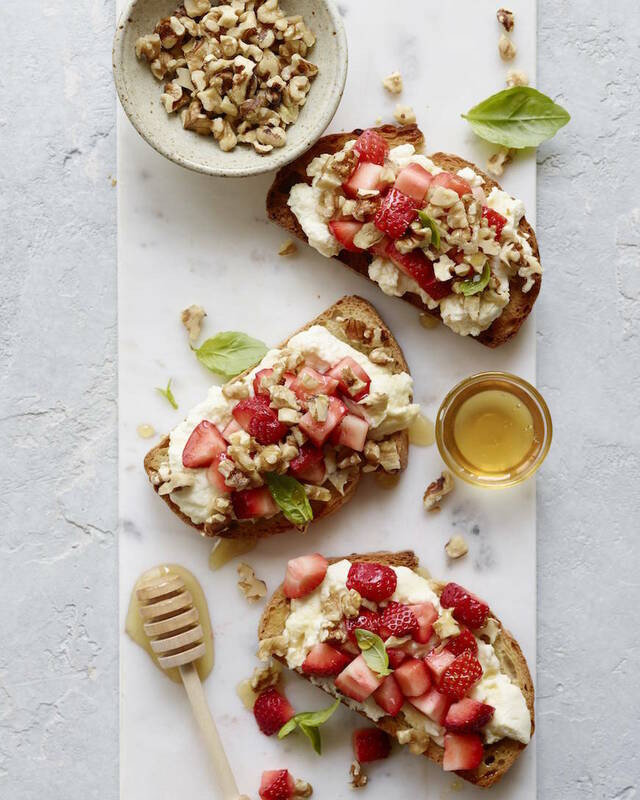 Ricotta and Walnut Crostini / it can be a breakfast, lunch, dinner or dessert! 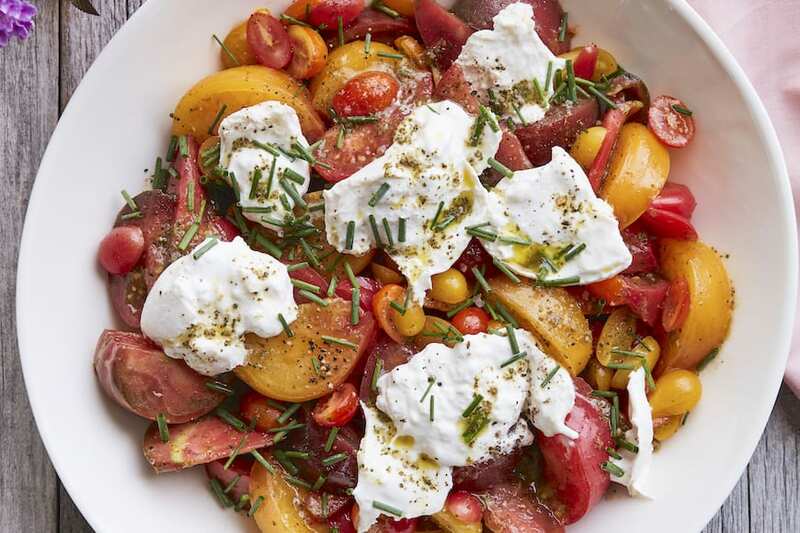 Melon Caprese Skewers / just give me a dozen and I’ll be happy! 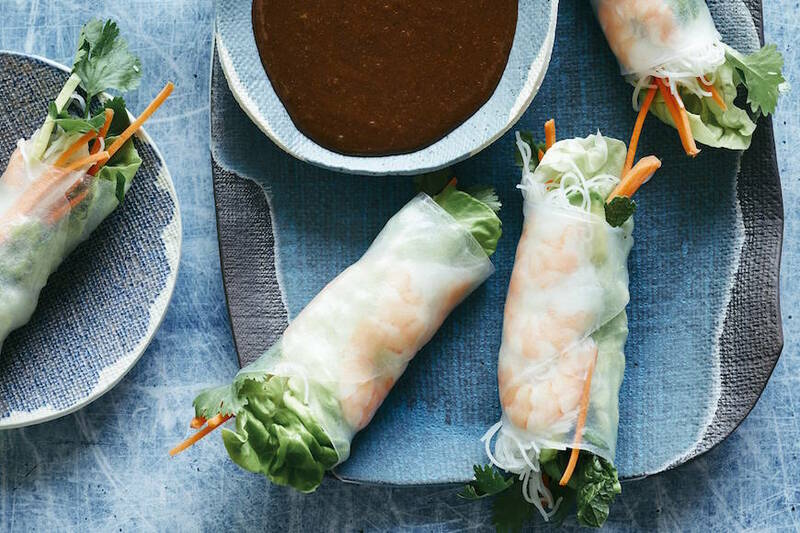 Avocado Shrimp Spring Rolls / yes please! 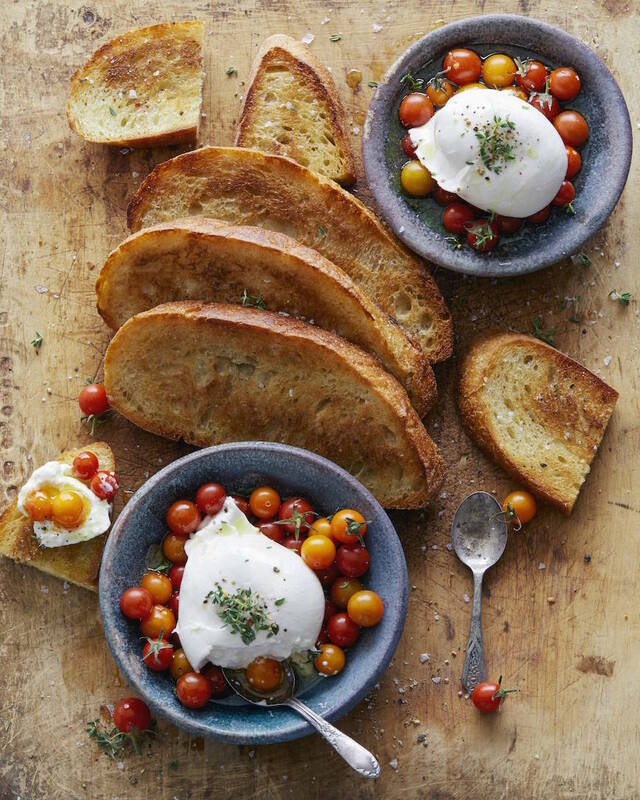 Burrata and Tomato Salad / with the best basil vinaigrette ever! 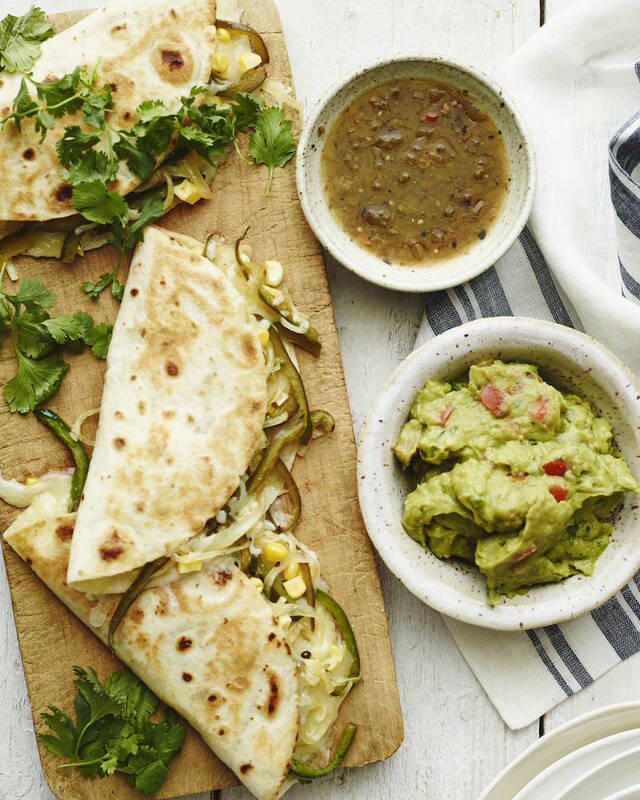 Poblano Corn Quesadillas / just throw them in a panini press so you don’t have to turn the stove on! 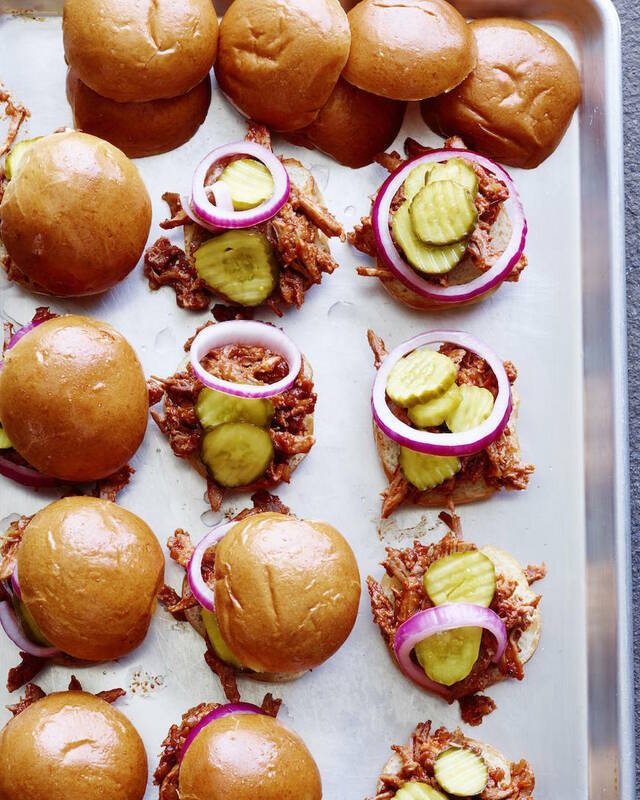 Pulled Pork Sliders / 100% in the slow cooker! 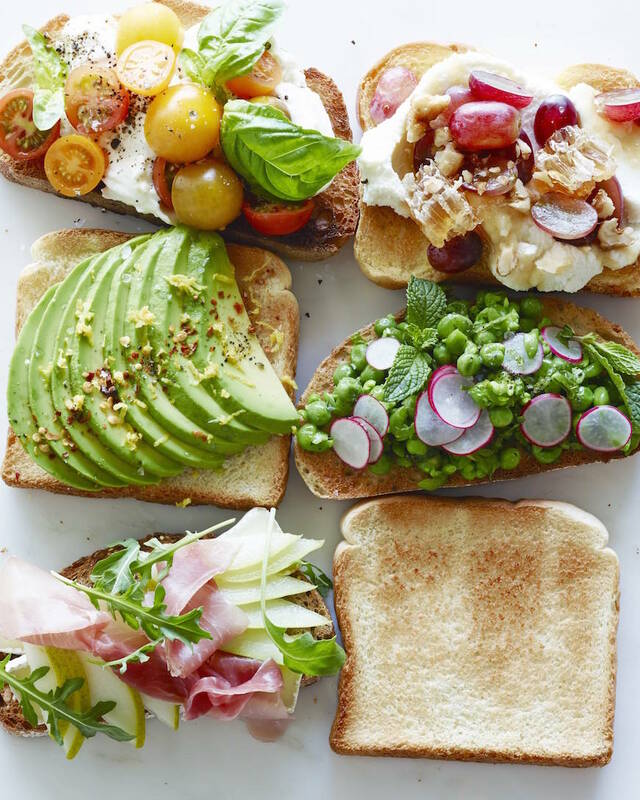 Toast 5 Ways! / I could eat this all day, every day! 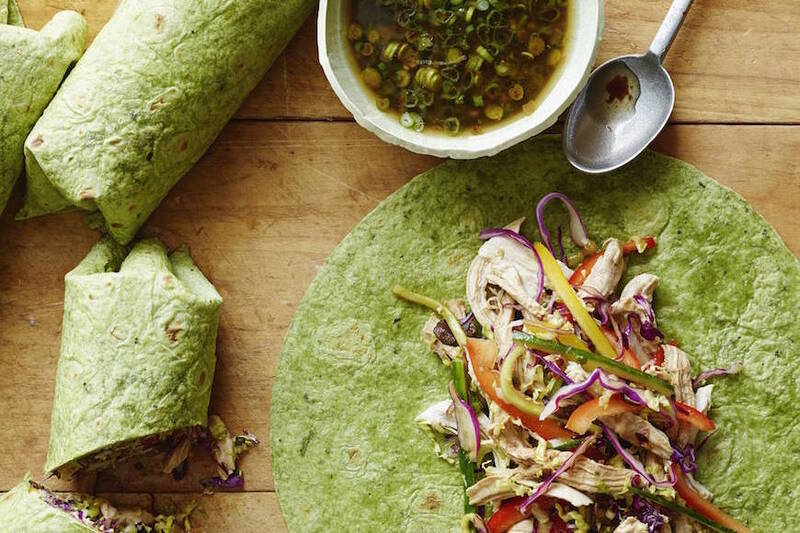 Ginger Scallion Chicken Wraps / grab a rotisserie chicken from the store and get into it! Yum! I love just using the grill and freshly chopped fruits and veggies. Now I will add a little toast as well! 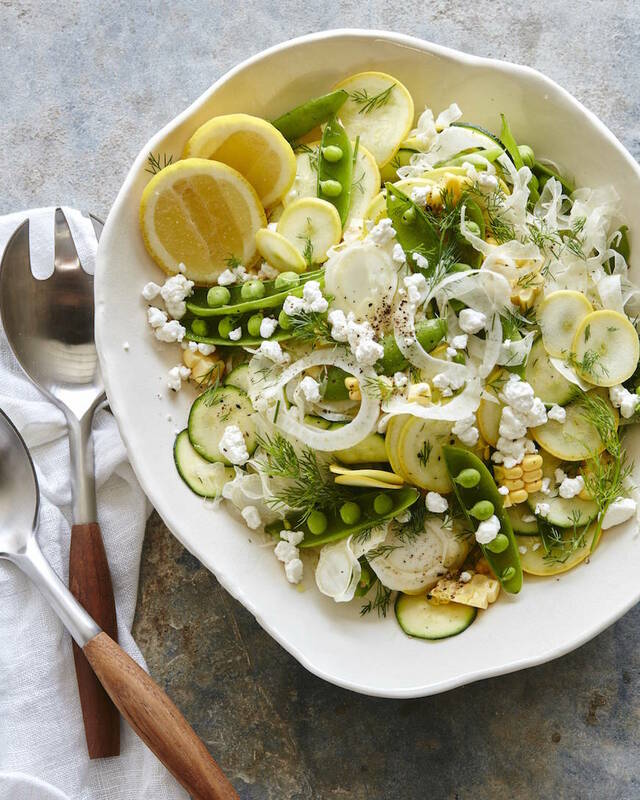 No cook meals are a great idea for summer! 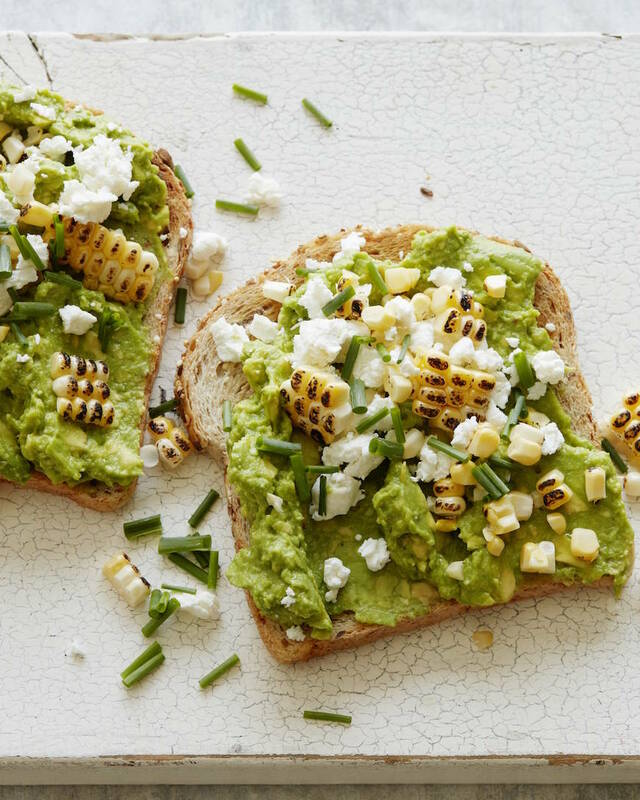 These are amazing ideas to not turn on the stove or oven!!! 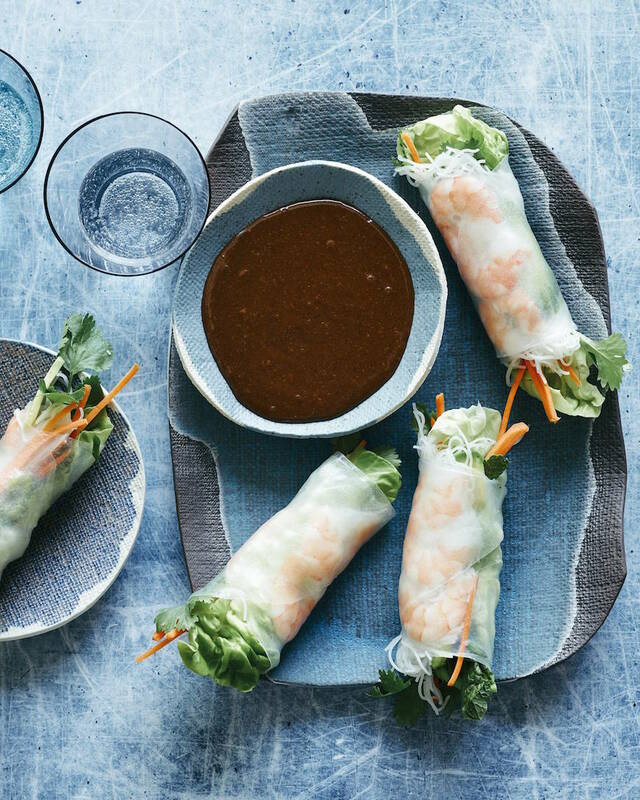 I can’t wait to try a few of these gorgeous recipes! Love the Melon Caprese Skewers & Avocado Shrimp Spring Rolls! WOW! everything looks so amazing! 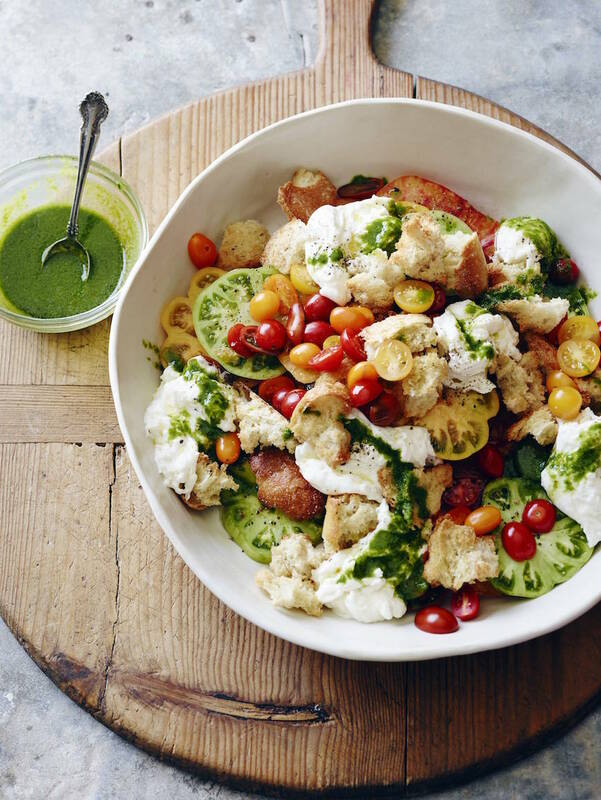 So many good options – that burrata salad is epic! I love to not turn the stove on in the summer. You have given me some great ideas! 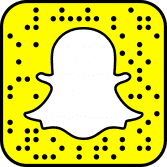 This is a great idea and it looks wonderful! 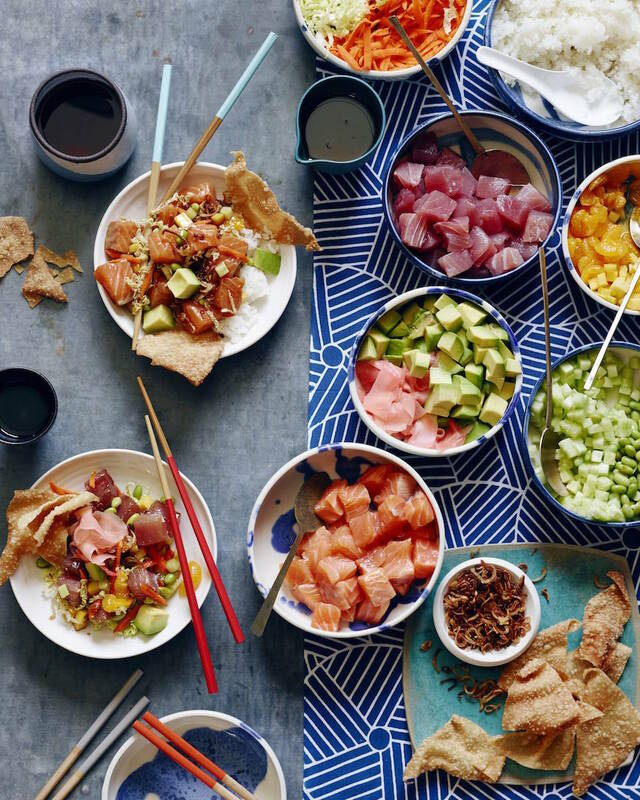 All of these are perfect for summer, but I want the sesame noodle right now! !